So really how we deal with our emotions drives everything. 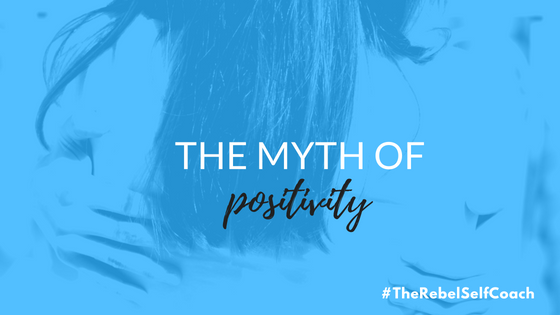 Research now shows that the radical acceptance of all of our emotions -- even the messy, difficult ones -- is the cornerstone to resilience, thriving, true connection, and true authentic happiness. We need more fluidity with our emotions for true thriving, belonging, and resilience. For some weeks, I've been trapped in a cycle of emotional denials. I found myself actively trying to push aside my feelings of anger, grief, or sadness, by over-doing stuff, permitting only those emotions deemed legitimate. Sometimes food served as a great escape-companion, other times judging myself for having these kind of emotions , after all I am supposed to be an evolved person ..right? Normal emotions are seen as good or bad. People with health issues asked to stay positive . Women to stop being sensitive or angry . There is a wave of positivity . We continue doing it to ourselves. We do it to others. It doesn’t work. It keeps us wrestling in the mud. It is not real. It is not sustainable. You might think you're in control of unwanted emotions when you ignore them, but in fact they control you. Internal pain always comes out. we all pay for it including people around us. Our emotions are messengers that direct us to things we care about. It’s It’s like an alarm bell. It is just a sign that there is something going on that needs our attention. We've got to hear the message without needing to listen to them. We have a choice to hear "The truth " that there is something going on that needs to be heard, that this emotion needs to be processed, released which would result to dissipate ,leaving us more centered. This release will always Propel us into higher awarness and more resilience. So, what does this look like in real practice? When you feel a strong, tough emotion, don't escape. Decide to stop , give yourself 10-15 min to practice being with what's coming up for you . Instead, of saying I am sad, I am angry, notice the feeling for what it is: "I'm noticing that I'm feeling sad" or "I'm noticing that I'm feeling angry." What is the emotion telling you? what do you really need now ? Maybe you know maybe you don’t , just feel in your body. Don’t feed it by analyzing , journal about, talk to a friend . Do not go into rationalizing, defending or arguing. Drop the story , stay present and observe . Notice the feeling in your body , take deep breath, and watch how slowly the feeling dissolves slowly on its own. after you feel centered, the message and blessing would reveal and you'll know which action will bring you towards your values. When we allow to tell the truth of our emotions, belonging , creativity and innovation flourishes . Susan David in her research found that “The most agile, resilient individuals, organizations, families, communities are built on an openness to the normal human emotions”. It's this that allows us to say,"What is my emotion telling me?" "Which action will bring me towards my values?" "Which will take me away from my values?" True Positivity is to accept the diversity of our emotions and be with emotions with curiosity, compassion, and especially the courage to take steps that are aligned with our values, of who we truly are.